Using colours in your home - what do they mean? Colors act in three basic ways: active, passive and neutral. You can easily match every room’s colors to your personal desires, to your taste and to the room’s purpose. Light colors are expansive and airy, making rooms seem larger and brighter. Dark colors are sophisticated and warm; they give large rooms a more intimate appearance. Let’s take a closer look at colors and learn what they can do to a room. Red raises a room’s energy level. The most intense color, it pumps the adrenaline like no other hue. It is a good choice when you want to stir up excitement, particularly at night. In the living room or dining room, red draws people together and stimulates conversation. In an entryway, it creates a strong first impression. Yellow captures the joy of sunshine and communicates happiness. It is an excellent choice for kitchens, dining rooms and bathrooms, where it is energizing and uplifting. In halls, entries and small spaces, yellow can feel expansive and welcoming. Blue is said to bring down blood pressure and slow respiration and heart rate. That is why it is considered calming, relaxing and serene, and it is often recommended for bedrooms and bathrooms.A pastel blue that looks pretty on the paint chip can come across as unpleasantly chilly on the walls and furnishings, however, especially in a room that receives little natural light. 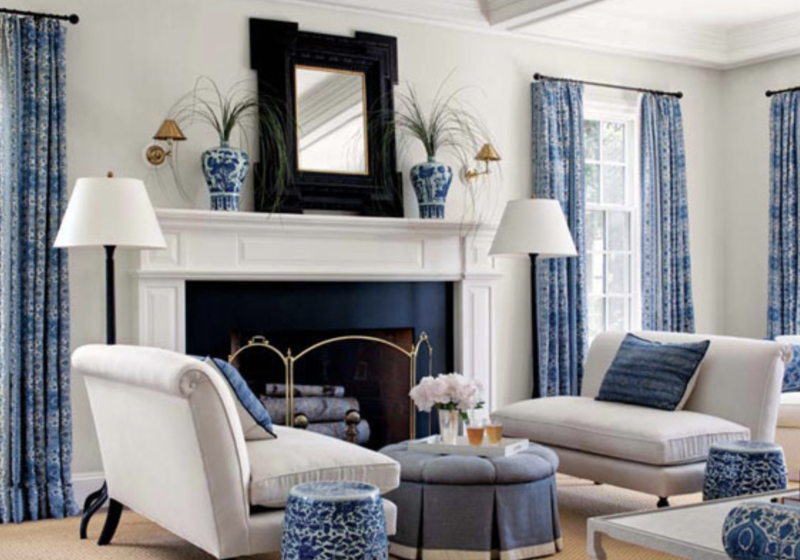 If you opt for a light blue as the primary color in a room, balance it with warm hues for the furnishings and fabrics. Green is considered the most restful color for the eye. Combining the refreshing quality of blue and the cheerfulness of yellow, green is suited for almost any room on the house. In the kitchen, green cools things down; in a family room or living room, it encourages unwinding but has enough warmth to promote comfort and togetherness. Green also has a calming effect when used as a main color for decorating. It is believed to relieve stress by helping people relax. It is also believed to help with fertility, making it a great choice for the bedroom. Purple, in its darkest values (eggplant, for example), is rich, dramatic and sophisticated. It is associated with luxury and creativity; as an accent or secondary color, it gives a scheme depth. Lighter versions of purple, such as lavender and lilac, bring the same restful quality to bedrooms as blue does, but without the risk of feeling chilly. Orange evokes excitement and enthusiasm, and is an energetic color. While not a good idea for a living room or for bedrooms, this color is great for an exercise room; it will bring out all the emotions that you need released during your fitness routine. In ancient cultures, orange was believed to heal the lungs and increase energy levels. Neutrals (black, gray, white and brown) are basic to the decorator’s tool kit. All-neutral schemes fall in and out of fashion, but their virtue lies in their flexibility: Add color to liven things up; subtract it to calm things down.Black is best used in small doses as an accent. Indeed, some experts maintain that every room needs a touch of black to ground the color scheme and give it depth. To make the job easier, rely on the interior designer’s most important color tool: the color wheel.